The company stands tall among the established Manufacturers, Suppliers and Exporters of Box Corner Pasting Machines. 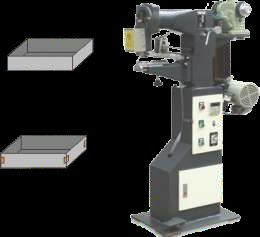 The Pasting Machine we make available is characterized by easy operation, rational structure and fast working speed. In order to meet the bulk and urgent requirements of the buyers, we maintain a large stock of the Machines in our state-of-the-art warehouse. Buyers can obtain the Machines at competitive rates.